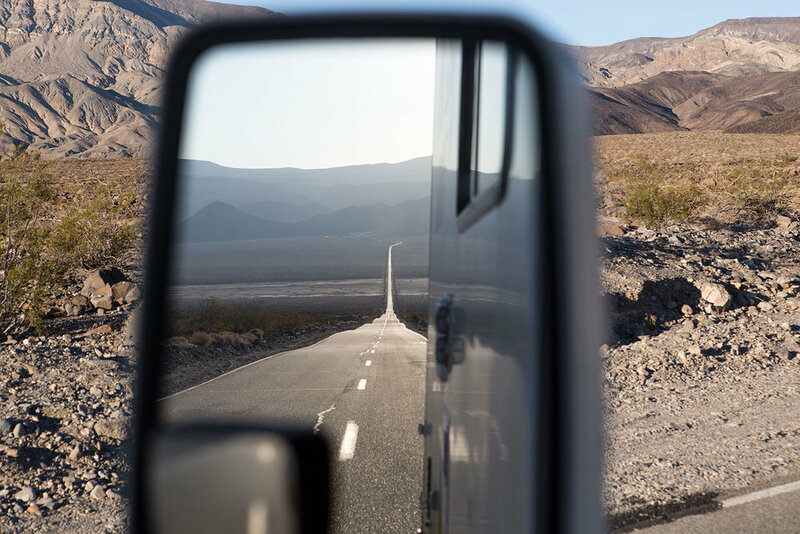 Death Valley is the lowest, hottest and driest area in North America located two hours west of Las Vegas. Pink and turquoise mountains, sand dunes and the longest valley roads that stretch for miles with nothing else in sight. Our first visit was in the heat of September in 2016 and we returned with our friends Pine and Palm Journal in a much cooler January of 2018. 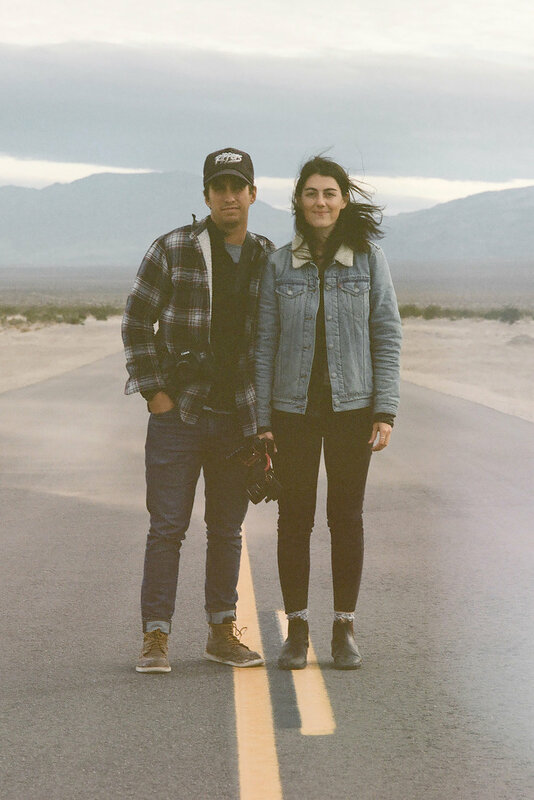 Pine and Palm Journal consists of photographer duo Anthony and True. We met these guys back in New York and they recently did the big move from there to Los Angeles making great work along the way. Back in 2016, Victor and I camped at Stovepipe for $6 which was essentially a parking lot filled with mosquitoes. We got in late so it worked for us, but wouldn't suggest it to anyone looking for a camping experience. Returning in 2018, the temperature made a decent drop which allowed for longer hikes and hours around the campfire. Furnace Creek Campground was our home for the weekend with True and Anthony of Pine and Palm Journal. A sandstorm came through the valley our first night at the campground. True and Anthony's tent survived the gusting winds while the RV shook until 4AM. When it was time to pay up our camp site is when we found out the government shut down. No government = free camping! What a time to be in a National Park. The camp host was surprisingly relaxed about kicking everyone out by the following Monday. Our second night at Furnace Creek was cooler, but thankfully no wind. We visited the Natural Bridge, Badwater Basin, Artist Palette and Zabriskie Point at sunset. Leaving on Sunday, we stopped at the dunes for the last round of photos followed by a return to Santa Clarita, California. Sidenote: If you're up for an interesting movie, check out Zabriskie Point filmed in locations of the park in 1970.